"#1 New York Times bestseller Lisa Gardner, author ofCatch MeandLove You More, returns with a heart-thumping thriller about what lurks behind the facade of a perfect family." "This is my family: Vanished without a trace "
"Justin and Libby Denbe have the kind of life that looks good in the pages of a glossy magazine. A beautiful fifteen-year old daughter, Ashlyn. A gorgeous brownstone on a tree-lined street in Boston's elite Back Bay neighborhood. A great marriage, admired by friends and family. A perfect life." "This is what I know: Pain has a flavor "
"When investigator Tessa Leoni arrives at the crime scene in the Denbes home, she finds scuff marks on the floor and Taser confetti in the foyer. The family appears to have been abducted, with only a pile of their most personal possessions remaining behind. No witnesses, no ransom demands, no motive. Just an entire family, vanished without a trace." "This is what I fear: The worst is yet to come "
"Tessa knows better than anyone that even the most perfect facades can hide the darkest secrets. Now she must race against the clock to uncover the Denbes innermost dealings, a complex tangle of friendships and betrayal, big business and small sacrifices. Who would want to kidnap such a perfect little family? And how far would such a person be willing to go?" "This is the truth: Love, safety, family it is all touch and go. 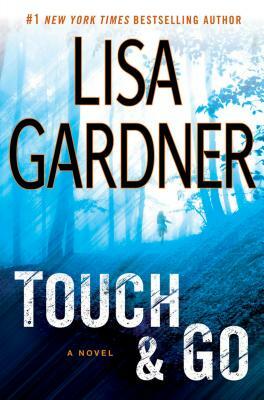 Lisa Gardner is "the New York Times" bestselling author of fourteen previous novels. Her Detective D.D. Warren novels include "Catch Me, Love You More," and the International Thriller of the Year award-winning novel, "The Neighbor." Her FBI profiler novels include "Say Goodbye," "Gone," "The Killing Hour," "The Next Accident," and "The Third Victim." She lives with her family in New England, where she is at work on her next novel. "This no-holds-barred stand-alone from Thriller Award–winner Gardner opens with the brutally efficient kidnapping of the Denbe family—father Justin, wife Libby, and 15-year-old daughter Ashlyn—from their exclusive Back Bay townhouse.…Gardner effectively alternates between the physical and emotional disintegration of the family under the pressure of their captivity and the efforts of [Invesigator Tessa] Leoni and company to dig into the secrets of Denbe Construction, its key employees, and its finances, as well as to locate the Denbes. The suspense builds as the action races to a spectacular conclusion and the unmasking of the plot’s mastermind." “[A] thrill ride... Even readers who figure out the ringleader long before [Investigators] Tessa and Wyatt will get behind on their sleep turning pages to make sure they're right." "Gardner’s depiction of a woman in the midst of emotional chaos is spot on, as usual, and she proves herself just as capable when it comes to creating intriguing men. Readers will want to see more of Wyatt, just as they grew to appreciate Bobby Dodge in Gardner’s earlier books."